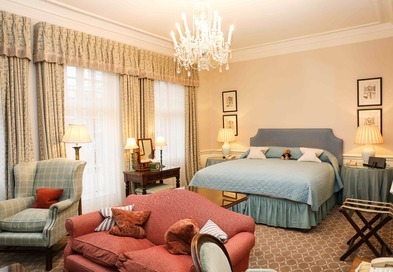 Visit one of the finest hotels in Kensington & Chelsea London. 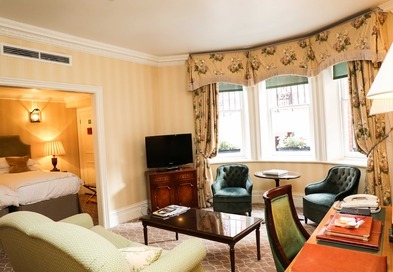 Our 5 star hotel in the heart of Chelsea’s Sloane Square, offers guest bedrooms of the highest calibre, whilst maintaining that all-important relaxing home-from-home environment during your city stay. 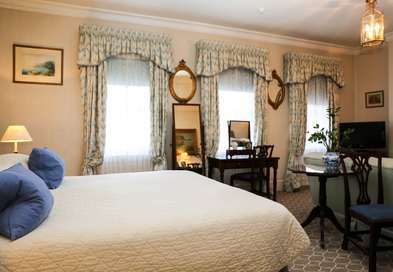 Originally built in the 1890’s, work began in 1995 to bring the Draycott Hotel up to the standards of refinement and luxury expected in one of the finest Chelsea hotels. 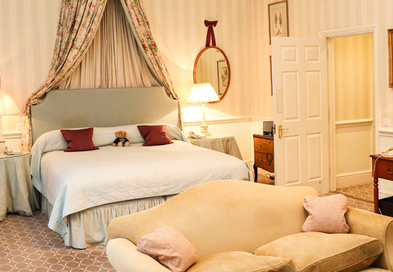 Today, the Draycott Hotel’s 35 beautifully appointed and individually decorated rooms provide some of the finest accommodation in London. 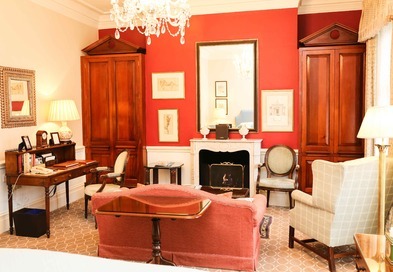 Each individual detail and unique aspect of the Draycott Hotel helps to make all our guests feel at home whilst staying in the Edwardian grandeur of this beautiful Kensington and Chelsea hotel in London. 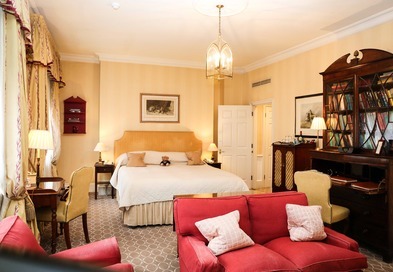 Find out more about our exquisite traditional guest bedrooms and make your reservation at the Draycott Hotel below. 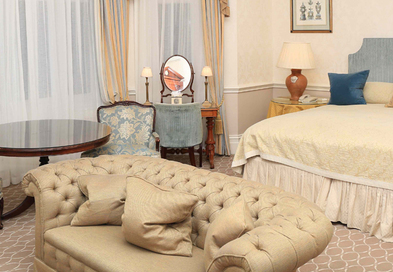 The Draycott suite is Edwardian splendour at its most opulent. 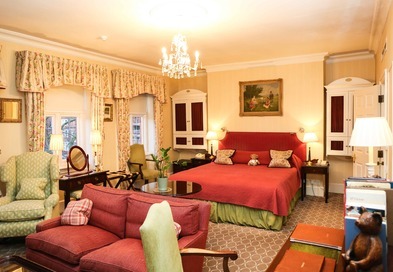 This suite allows a family, or couples looking for more space, a very comfortable and luxurious stay. 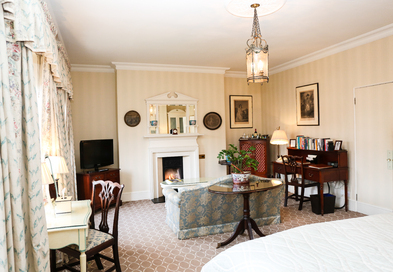 Spacious at 960ft² (89m²), the suite can be divided into a large open-plan bedroom with glorious views over the garden square and its own original fireplace. 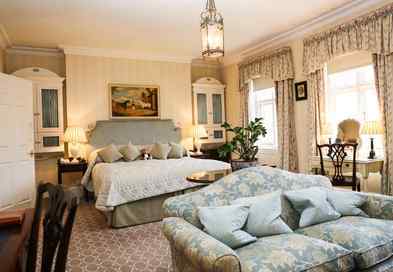 The second bedroom is adjacent to the living room and the suite has two bathrooms, a fully equipped kitchen and guest cloak room. 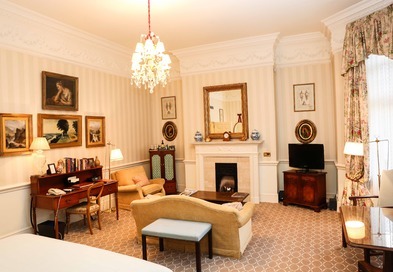 All rooms benefit from AC, complimentary Wi-Fi, iPod docking station, Freeview TV and DVD. 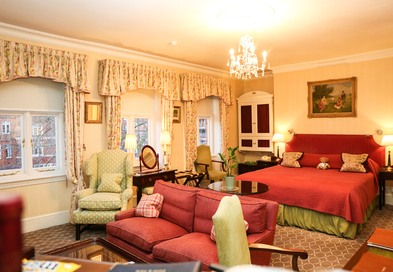 The king-size beds can be twinned upon request. 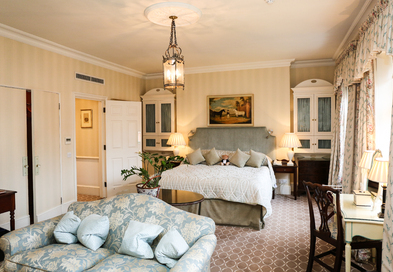 The Family suite contains one deluxe garden view room and an adjoining single room. 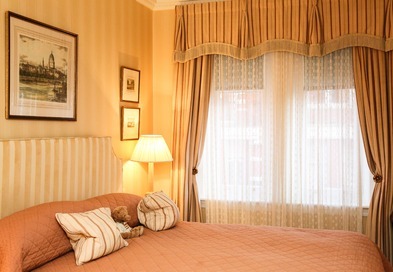 The Deluxe Garden view rooms are spacious at 380ft² (35m²), traditionally decorated and with king-size bed or twin. 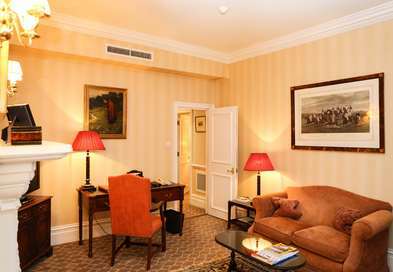 Sink into the comfy sofa in front of the fireplace, for the business traveller a large writing desk will give ideal support. 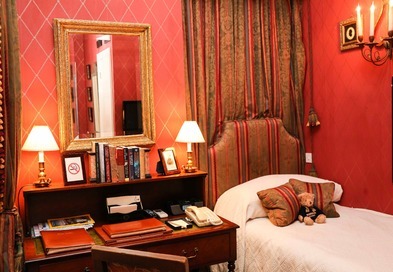 All have the benefit of AC, complimentary Wi-Fi, Freeview TV, DVD, iPod docking station and private bar. 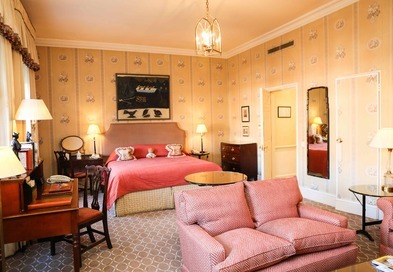 The Adjoining single room is small at 123ft² (12m²). 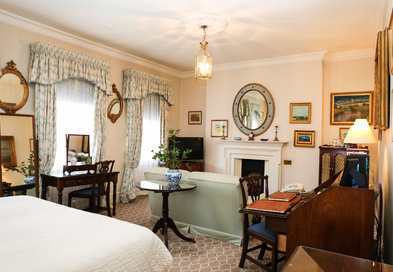 However, all are beautifully decorated with either a theatrical or nautical theme and all benefit from AC, complimentary Wi-Fi, Freeview TV, DVD, iPod docking station and private bar. 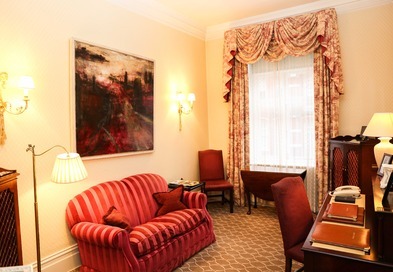 Relax within a city oasis with a stay at a Draycott Suite with a garden view. 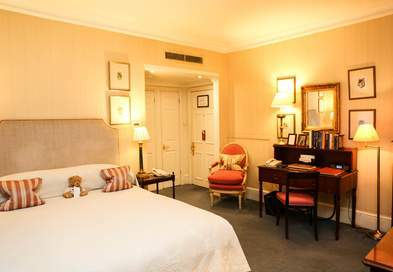 Suites overlooking the garden have glorious views across the leafy private garden square, making your suite feel like a peaceful urban retreat. 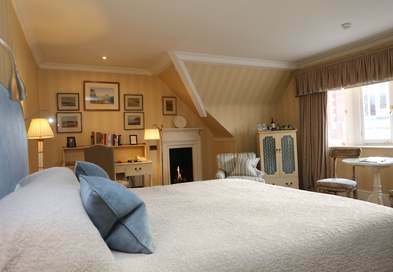 Some suites benefit from a fully equipped kitchen, which are suitable for longer staying guests. 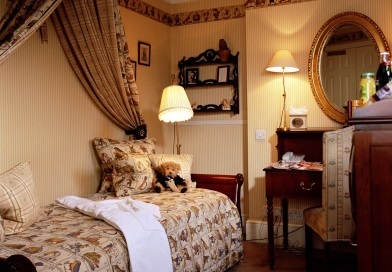 All rooms benefit from AC, complimentary Wi-Fi, iPod docking station, Freeview TV and DVD. 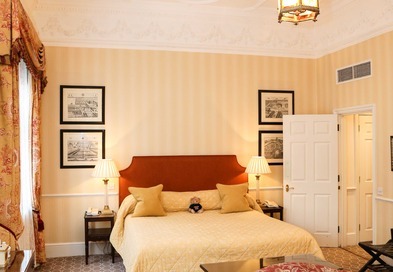 The king-size beds can be twinned upon request. 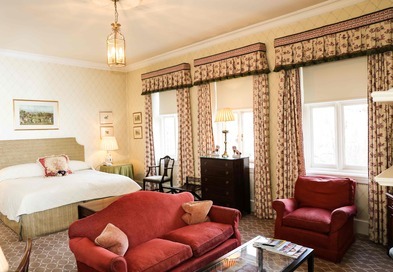 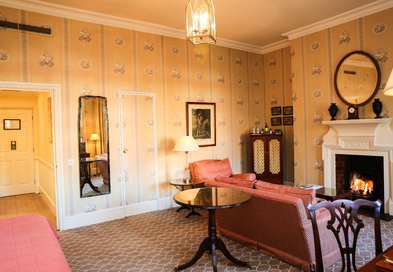 Suites at the Draycott Hotel are the epitome of Edwardian elegance and timeless splendour. 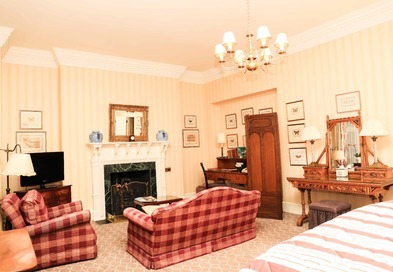 The average size of our suites is 471 ft² (44m²) which can either be set up as a spacious open-plan room, or a separate living room, bedroom and guest cloak room. 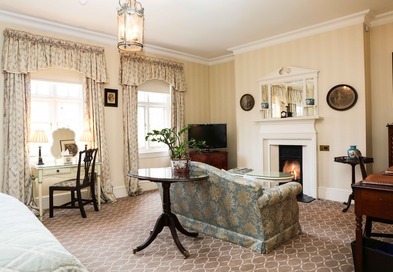 Each suite is luxuriously furnished with typical Edwardian features: High ceilings, fireplaces, comfortable seating areas including a sofa and easy chairs. 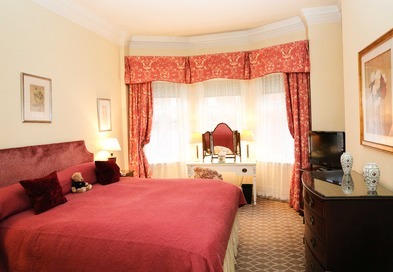 Choose between a king-size or twin covered with linen of finest Egyptian cotton. 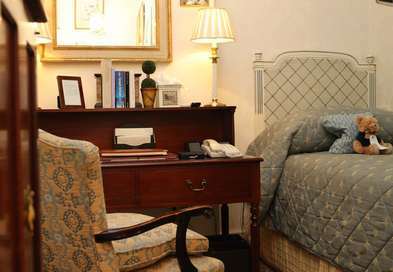 A writing desk is provided in all suites. 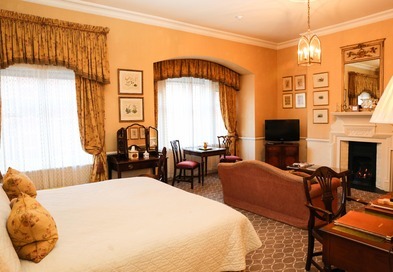 Suite rooms have the benefit of AC, complimentary Wi-Fi, Freeview TV and DVD, iPod docking stations and private bar. 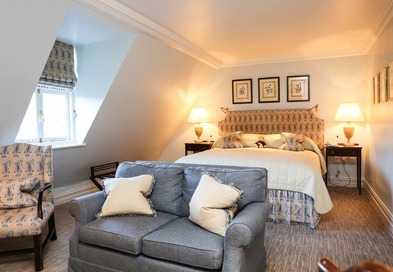 The Draycott’s Deluxe Doubles are beautiful rooms which have views across the private garden square. 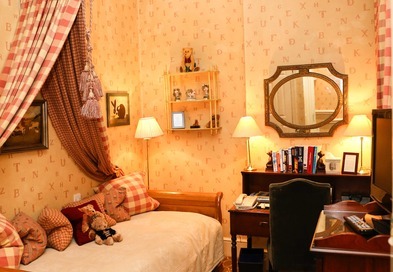 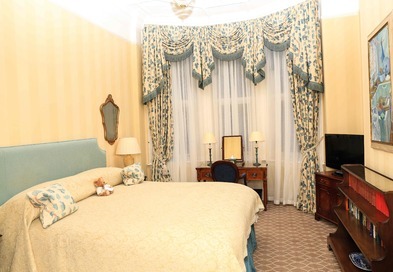 These rooms are spacious at 380ft² (35m²), traditionally decorated and with king-size bed or twin. 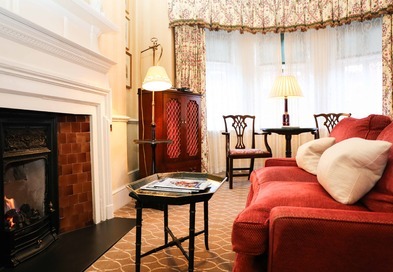 Sink into the comfy sofa in front of the fireplace, for the business traveller a large writing desk will give ideal support. 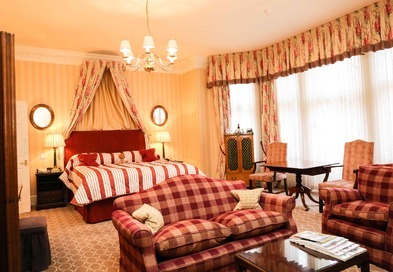 These rooms have all the benefits of the Deluxe Double room including AC, complimentary Wi-Fi, Freeview TV and DVD, iPod docking station and private bar. 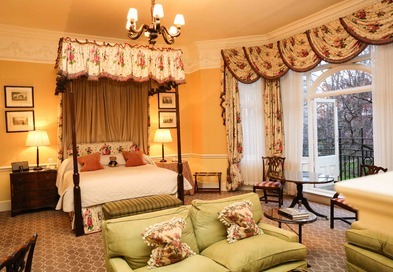 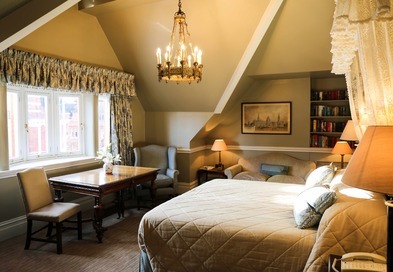 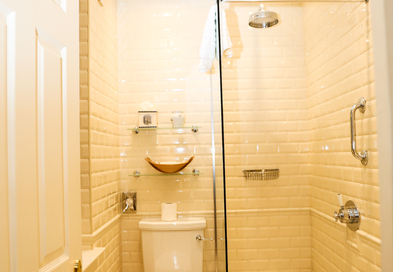 The Draycott’s Deluxe Double are luxurious rooms featuring traditional Edwardian architecture. 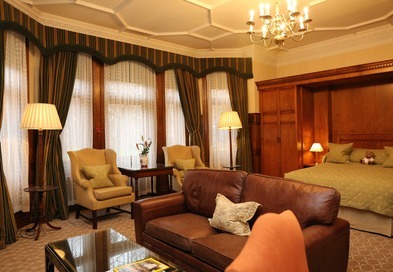 All have the benefits of AC, complimentary Wi-Fi, Freeview TV, DVD, I-Pod docking station and private bar. 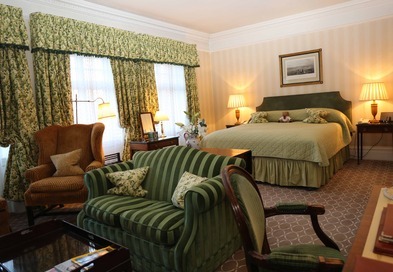 The Draycott’s Superior Double is an ideal bedroom of gracious size and elegant decor. 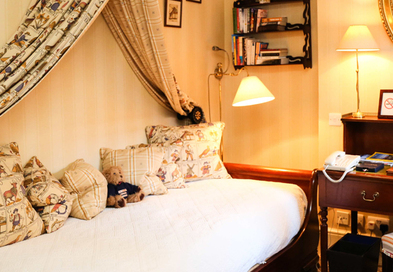 At 340m² (31m²) these doubles are slightly smaller and cosier than a Deluxe Double, but still with all the comforts one would expect from a 5 Star Townhouse Hotel. 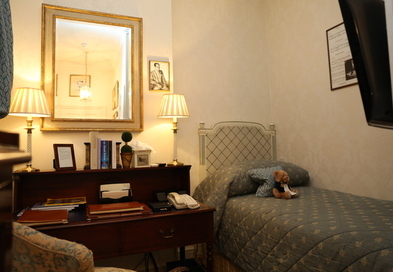 All rooms have a king-size bed which can be twinned if requested, as well as the benefits of AC, complimentary Wi-Fi, Satellite TV, DVD & CD and private bar. 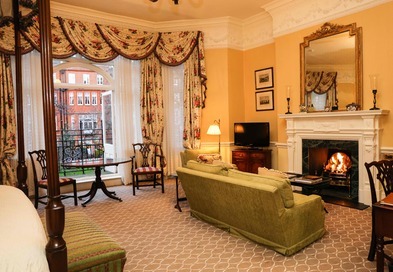 Some also have their own fireplace with seating area. 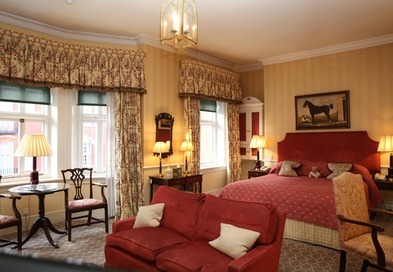 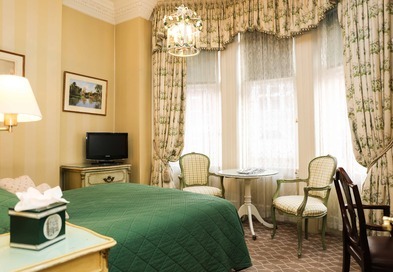 The Standard Queen rooms at the Draycott Hotel are well-appointed and comfortable. 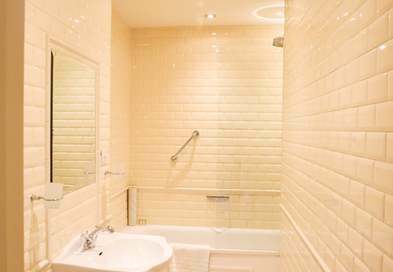 At 200ft² (18m²) these rooms are ideal for travellers who want a bit more space and comfort. 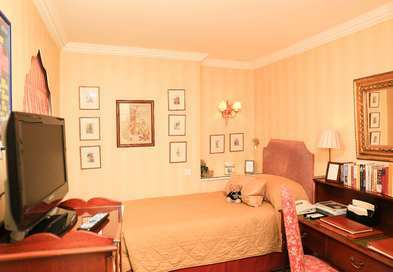 Standard Queen rooms have a queen-size bed, writing desk and a small coffee table. 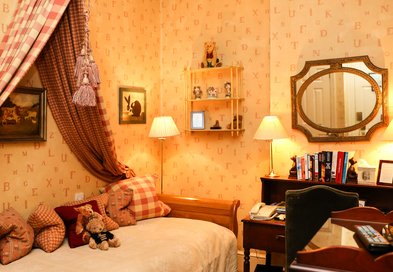 These rooms benefit from AC, complimentary Wi-Fi, Satellite TV, DVD & CD and a private bar. 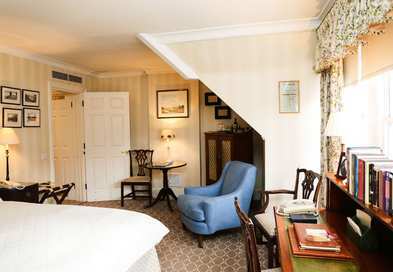 The Draycott Hotel’s Standard Single rooms are small but perfectly formed; a cosy retreat within London. 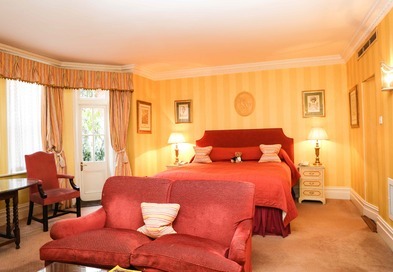 At 123ft² (12m²), each Standard Single has a comfortable single-bed. 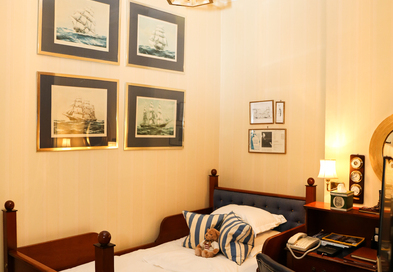 All are beautifully decorated with either a theatrical or nautical theme and all benefit from AC, complimentary Wi-Fi, Satellite TV, DVD & CD and private bar.